Ancient exotica. WOW! 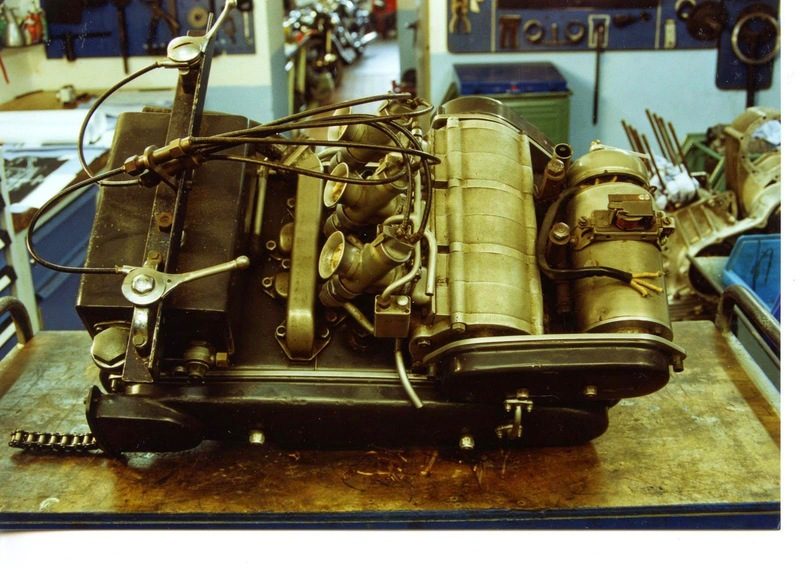 A supercharged, 3-cylinder two-stroke engine with at 3 Amal carburetors, 3 small superchargers, which share a drive with a dynastarter. The engine is a 'flat' triple, with 3 parallel bores and water-cooled cylinders.